CLEAN CARFAX REPORT/NO ACCIDENTS REPORTED, SERVICE RECORDS AVAILABLE, NAVIGATION GPS NAV, MOONROOF/SUNROOF, REAR DVD/ENTERTAINMENT, ALL WHEEL DRIVE, and BLUETOOTH. AWD and Cocoa/Cashmere Leather. 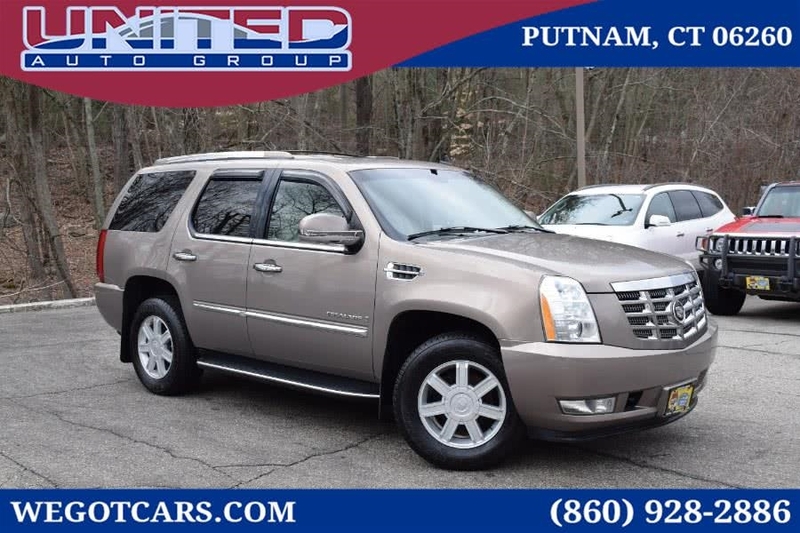 How inviting is the low-mileage of this great 2007 Cadillac Escalade? J.D. Power and Associates gave the 2007 Escalade 4.5 out of 5 Power Circles for Overall Performance and Design. Don't let the drumming of road noise wear you down. Bask in the quiet comfort of the cabin of this Cadillac Escalade.